Being the last day of the month, it's time to finally join the circus. Or rather, the carnival. The Diabetes Blog Carnival. Also known as the #DSMA Blog Carnival. For those outside the ever-expanding online community of diabetics, you may find it relevant to know that #dsma means Diabetes Social Media Advocacy. That's a weekly Twitter chat where dozens come together online to discuss diabetes issues and topics, and the point of this carnival exercise is to have a bunch of D-bloggers focus on a specific question and personalize our own response to that. Blogs will all be compiled at month's end to highlight what's been written. 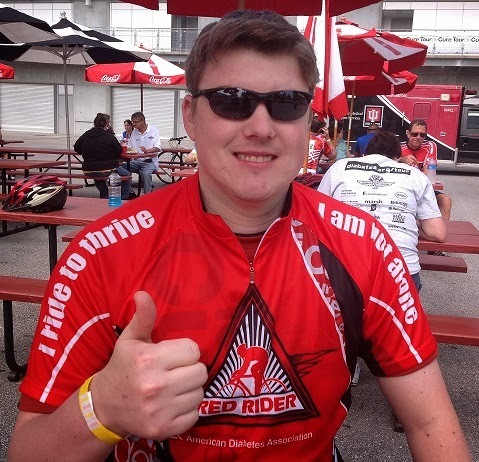 "The most awesome thing I have done in spite of diabetes is . . . ."
"The most awesome thing I have done in spite of diabetes is live a 'normal' life, where I've reached those dreams that I didn't think would be possible specifically because of diabetes." There was a lot of hopelessness in my life when I was younger. Not much confidence that I'd get very far, simply because of diabetes and the way I'd been so out of control for so long. I just didn't think it would be possible to ever reach my dreams - two of those dreams being a professional journalist and the other being married to an incredible woman who simply makes life worth living. I didn't have dreams of world travel or mountain climbing or "doing the impossible," but rather just wanted to be like all of those other non-diabetics who were able to live a normal life. Simple enough, but it seemed at one point that both of those dreams and others were not reachable to me as a result of my health. But I've reached those dreams. And I am living on, striving to accomplish and achieve more and reach for those stars that are still out there. For the most part, I have a "normal" life that I'm proud of and wouldn't ever want to sacrifice. All in spite of diabetes. Thank you very much. As a reporter at a legal newspaper, I find myself regularly passing through courthouse security and sitting in courtrooms. A recent assignment took me to a local courtroom notorious for having a "no tolerance" policy on cell phones and related pieces of technology, to avoid any potential courtroom disruptions. The judge and bailiff are well-known for the policies and discipline imposed on folks who disobey. So you can only imagine my delight recently when my insulin pump appeared on their disruption radar and the court focused some of its attention on me. In the hours before entering court that day, I'd been flirting with Lows all morning. Blood meter checks showed my CGM paranoia was totally off base and was at least 40 mg/dL off the mark - meaning there was nothing to be worried about. But being in a constant on the run mode that day made it a little more uncertain, and meant the constant pump alerts weren't helpful and were rather annoying. Court just added to it. This wasn't federal court, where the security guards have gotten to know me by face and don't hassle me much anymore about the pump at my side. No, this was a county, state-level court I don't make it to very often. Blank stares on the faces of the security officers at the entrance didn't seem to comprehend what an insulin pump was, and they weren't overly impressed with my explanation that the device attached to me was a "medical device that cannot be removed." A wand revealed no danger, so they cautiously let me pass (though I could feel the glares as I moved on through). At the courtroom door, the bailiff instructed all who entered that the judge wasn't fond of cell phones even being out in someone's hand, let alone being used: "If (the judge) sees you playing with a cell phone, it will be confiscated and you could be fined and held in contempt of court." I'd heard this many times before and waited patiently to enter the courtroom, not suspecting it'd be an issue. My cell phone is always silenced in court, as is my insulin pump. But that day, once sitting in my seat and the judge had entered, Larry The Loaner CGM got fussy. He decided to start alerting me that a Low Was Predicted. I silenced him, and minutes later he alerted me that I had in fact hit 70. Another snooze before another alert that I'd gone down more. After the fifth one, I started getting annoyed and wondering if I was, actually, as Low as Larry was saying. I drew my pump from the holster at my waist and examined it for a moment, looking at the CGM graph that had hovered somewhere around 70 all morning. But now, two arrows were pointed straight down and the number on the screen was 58. Hmmm. I felt fine, without any blurry vision or other signs of Low present. But it might be time to check. Didn't want my courtroom or people-watching ability to be sacrificied because of a Low. Producing my blood meter from my coat pocket, I set my little black case on my leg and did a blood test. There was no one immediately to my right and the person a few seats down didn't seem to notice or care what I was up to. The bailiff standing to my left was a different story, and he had apparently become very interested in what I was doing. As I fondled my pump and pushed some buttons, I saw him put on an "Oh, no you DIDN'T just whip out a pager!" facial expression. As I pulled out my meter case, he moved toward me. "You need to give that pager or phone to me," he instructed, pointing to my pump now resting back on my belt. Me: "It's not a pager or cell phone. This is an insulin pump." Bailiff: "Well, whatever it is, you are not supposed to be using that during court. It's against the rules. If you want to use it, you'll have to leave the courtroom or I'll confiscate it." Me: "Fine. If you want to call the paramedics when I fall over unconscious, I'll give you my medical device now. I'm sure the judge will love it when you and him are both sued because you don't understand what an insulin pump is." He stared at me. I could feel his uncertainty about what to do - leave me alone, toss me out of court, or slap some handcuffs on me for arguing with him. Though the moment didn't last more than a few seconds, I imagined him cuffing me and hauling me up to the bench before the judge for a whole other conversation. Judge: "Son, you were instructed not to be using any phones or pagers while in my courtroom." Me: "With respect, Your Honor, this is not a cell phone or pager. This is an insulin pump. It's a medical device." Pointing to my pump: "That right there? It's so small, just like a pager. Are you sure?" "Your Honor, it's an insulin pump. Trust me. I wear it all the time to help monitor my health. Kind of like a pacemaker. It is not going to disrupt anyone in court." I imagined him eying me suspiciously, obviously taking a cue from the security guards at the front of the court entrance. Judge: "I see. Well, just stop fidgeting with it. You are making my bailiff uncomfortable." "Yes, Your Honor. I understand." Of course, this conversation didn't really happen and I doubt it ever would. I've personally observed that most judges and most courtroom staff are great, caring people. My issue this time was with the bailff, who was hovering above me back at my seat and finally spoke, drawing me out of my daydream of standing before the bench. Him: "Well, then, do what you need to. Just don't disrupt court." Me: "I won't. Thank you for your concern." You know... I make every effort to respect the rules of court. They are important. But this was just ridiculous. A case where this moron being all concerned about my quiet, discreet, and non-disruptive pump viewing was MORE OF A DISRUPTION than what I was doing. Sometimes, people use their phones and are disruptive. Sometimes, phones and pagers aren't silenced. Yes, that's disruptive. But this wasn't. I was being quiet and no one cared, except for the hawk-eyed baliff who took an issue with someone not watching the judge's every word. That annoys me, and frankly it's a waste of court resources for this to be happening. For the record, my blood test was not 58 as the CGM arrows indicated - my meter said 75. Assuming the trend was correct, I found my sleeve of glucose tabs in my coat pocket and ate a couple to offer a little boost. All was fine. But with the CGM acting up, I'm thankful that whatever "ruckus" it was causing didn't result in my getting cuffed or having to actually stand before the judge because of my pump. If that were to happen, I wonder if the Diabetes Online Community would help pay my bail if I ended up in jail for "Disruptive Courtroom Insulin Pump Button Pushing?" Hmmm. Lately, I've been asking myself a key question: "What has the JDRF done for me?" Like really, truly through all the years as I heard that a cure is "right around the corner," while continuosly raising money for that cure, yet not seeing it around every corner I turned in my life? What have I gotten from the organization so devoted to researching that so-called cure and what do I think of that mission? In a weird Twighlight Zone sort of way, the JDRF has given me hope. Maybe not the kind of hope that comes from knowing each dollar I raise for a walk will specifically fund a cure at some specific point in the future. Rather, the hope that a lot of people are looking for a cure with all the passion in their hearts. I'm not a scientist, so I don't know what might be the best road. But I know there's the JDRF doing what it can, just as many other scientists and researchers and organizations are also trying hard to find one. That gives me hope. Even if I'm jaded and, after 26 years, don't believe I'll see one in my lifetime. Just as my mom, diagnosed as a kid 53 years ago, doesn't believe she'll see one while she's alive. There's some intangible hope in the fact that cure research is ongoing and that someday that passion will lead to a cure, by someone. The JDRF has supplied me with that hope, even during the times I didn't see anything from them and felt more like a marketing tool or exploited face or another donation mark on the charity's register. I'm not the parent of a CWD, so I can't possibly imagine what it's like to look into the face of your child and try to tell them a cure will come - when you doubt the truth of that statement. Or their faces when they cry for a cure and you can't take diabetes away or say when a cure might be found. But I was that kid. My memory is that my parents always basically told me: "The JDRF is trying, but they just don't know when. Other scientists are trying, but they don't know either. We may or may not get a cure, but regardless we'll do our best to make sure you can have a healthy and successful life." Recently, I asked my mom about how she looked at the then-JDF in those years following my diagnosis and how that impacted their "cure" and "hope" philosophies when raising me to Live with Diabetes. She said, "I’m certainly a product of many medical professionals following the 'cure in five years' theory. Because of hearing this for virtually my whole life that I remembered, we never hyped the cure to you in any way. In fact, I quickly shut down any medical professional you came in contact with that might start talking about 'The Cure.' We did believe in the philosophy that was held by (your initial Children's Diabetes Care Team) of working within the known technologies to try and get the best results possible. My mother, from when the JDF was a new organization, believed in it more than the ADA - mainly because they contributed more of every dollar to the cause as opposed to paying workers and spending the money on offices and things. So, she volunteered her time in making phone calls and doing office work for them. This was the same principal that your father and I believed in and why we chose to volunteer our time to them once you were diagnosed." So that's how I've grown up, and what I think now. It's about the here-and-now as a main focus, without losing that hope of a cure someday - both play into each other. I'm sure there are many research ideas and various funding issues to delve into, but I'm not qualified to know about that. When it comes to what the JDRF has done for me: they're trying the best they can. I think as a layperson, and as someone who they are doing this all for, that provides me comfort. Regardless of whether I understand all the decision-making and annual report confusion or not... I'll leave the rest to people much smarter than me. As Bon Jovi has sung, I'm just trying to "Keep The Faith." Ever thought about having your blood meter or insulin pump pimped out with pinstripes or some other creative artwork like vintage blue flames or flashy cool wavy lines? Or maybe you've pondered how an artistic painting genius might illustrate what you’re feeling about a dreaded D-complication, like the Dead Eye version known as retinopathy? Until recently, I can’t say my mind had ever pondered either of those above-mentioned concepts. But now, thanks to the Diabetes Youth Foundation of Indiana, those two curiosities have been explored and addressed through an awesome fundraising event aimed at helping to send kids to Diabetes Camp. A group of talented artists brought those questions to life with a little paint and artistic wonder, part of the Pinstriper Panel Jam & Auction this past weekend that raised a total $8,815 to help send kids to the Camp Until a Cure in Noblesville, Indiana. This all came to be at the World of Wheels class car show in Indianapolis, where these pinstripers created, showcased, and sold off their artistic work and donated every dime earned during the three-day show. Pinstripes putting pizzazz in every BG Test! Offering some time and energy, Suzi and I volunteered for a shift on Sunday morning but ended up staying the entire day to help out where needed. We're very glad we did, being able to not only experience the event and meet some great people but also see the final big check made out with the total amount presented to Jenna on stage with the pin stripers standing with her! Very cool. We opted to not have the insulin pump on my waist decked out with pinstripes, as Larry the Loaner 523 Revel is only a temporary cohort in crime and not to be replaced with my non-CGM friendly version we know as Sir Bacon Gibbs 723. By pinstriper Bob Keeney "Bikini"
But while I didn’t any other diabetes-related items decorated, my mind managed to find a D-connection in one of the pieces created that morning and auctioned off that afternoon – it was a Dead Eye, seen to the left. The artist had a particular theme on a few pieces with this same style of eye, and no one could figure out its significance. Wondering aloud about the Dead Eye originas, I pontificated that this could be some reference to retinopathy…. Some snickered and Suzi shook her head at me, but the idea was stuck for good. (This probably wasn’t the case, but it sounded good and has now become my mental image for this dreaded D-Complication.) Others shook their heads at me, but I went on my merry way thinking what I thought. In the end, the Dead Eye masterpiece raised almost $100 for the DYFI. Pinstripers were: Bob "Bikini" Keeney, Furious George, Jeff Whitaker, Mike Ralston, Rich Mickelson, Lit'l Bill, Lloyd Johnson, Brian (Dice), Mark Harmon, Shane Syx, Seth "Wink" Killea, Victor Figueroa, Jerry Carr, and Bob Vandergraff. Countless other items were made and sold, and it was great being a part of it for the first time. There's another pinstriping charity event in October, one that may bring more opportunity for even more outside involvement and some interest for the Diabetes Online Community as World Diabetes Day draws near... So stay tuned! Disclosure: This was my introductory event as the newest DYFI board member, something that became official earlier this month. I join a dedicated group of individuals working to make D-Life a little more manageable for children with diabetes and their families, via camp and related programs. 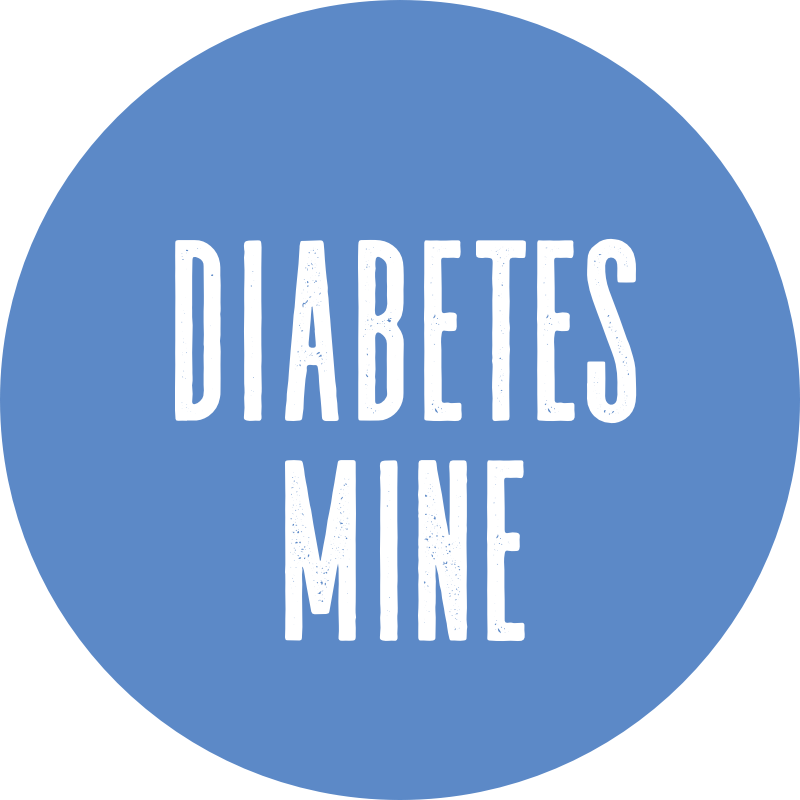 I’ve only been involved in the organization for about a year, after reaching out in late 2009 as I'd gotten more fully invested in the Diabetes Online Community and was trying to take that energy offline into my local Diabetes Community. I’ve written about D-Camp before, but this year the departing director who’d introduced me to the DYFI asked if I’d be interested in stepping it up a notch. Really, it was a no-brainer and I gladly accepted the invitation. So with that, I'm excited to be a "grown up D-Camper" now being all official-like in my D-Camp board participation. One thing that's on tap to help spread the word about the DYFI and Camp Until A Cure, which is the only one of its kind here in the state of Indiana. While two other D-Camps do great things in other parts of the state, the difference here is that this is the only one in Central Indiana and it’s specifically built and designed for diabetes and special needs, not as a side-project at a bigger camp that holds other programs and only occasionally delves into the diabetes world. Social media is a part of all this, and so that’s where I come in to help spread the word online. With a new Type 1 executive director just starting at the end of January, the DYFI (on Twitter as @dyfofindiana) continues moving forward with some exciting endeavors and I’m excited to be a part of that. In her mid-20s, Jenna Holt (a Type 1 diagnosed at 17) is already on the ball and has hit the ground running. This recent Pinstriping fundraiser was her debut event, and my personal observations are that she helped make it a glowing success and raised more than what had ever been brought in before! Jenna says, "I couldn't have asked for a better turn-out with our pinstripers. They were amazing with hearts of gold. I think overall, the event went great and that we have room to set/ exceed goals for next year." That is what the DYFI is all about and it's great to be a part of that. Pinstriped blood meters, concepts of Adult D-Camp, and everything else that may be down the road. #BluntLancet shirt, along with candlit Valentine champagne glasses & chocolate hearts! This was the second #BluntLancet shirt, a result of the first one being the wrong size. CafePress was cool about it and offered to send a correctly-sized one, but also allowed us to keep the original! So, now we have two! You may disagree, but for me, this milk chocolatey goodness is totally bolus-worthy!!! Enjoy whatever treats you may enjoy or whoever your Valentine is for 2011. Do real diabetic men wear boxers or briefs? Admit it: You really want to know. Personally, I wear boxers most of the time. It's a comfort choice. But sometimes, it comes down to where my insulin pump is attached to my body. I often rely on the same real estate and go with my upper body - abdomen, arms, stomach - for pump sites. Way too often, I leave these sets in longer than what is FDA-recommended (Disclaimer: I'm no doctor or medical role model here...) When sites are tough to find and it's time for a new spot, I resort to leg sites. Usually, I fall back to these areas when the above-mentioned locations are over-used and beat up. But I often feel restricted in my daily activities, like every move I make might rip a set out or dislodge a cannula. The dog isn't allowed to sit on my lap during these leg site periods, and I usually am more cautious about bending over or stretching that particular leg in a way that might spell site trouble. My underwear choice also weighs into my decision-making each day when a leg site is in use. Briefs may leave a set more exposed to a pant leg and lead to irritation, so I go with boxers if there's any choice in the matter (laundry day sometimes presents a true challenge to this). The looser, non-tight boxer shorts are my choice. These are what I describe as "Diabetic-Friendly Boxer Shorts." I can pull them up and access my leg more easily, either to disconnect the set or just get a quick glimpse of it to make sure all is OK. Sometimes, it doesn't make a difference. My most recent leg site was proof of this: Had a D-Friendly pair of Boxer Shorts, but only got about 30 hours of the set attached to my site before I looked down and noticed it was bloody red. Nothing I'd done to cause it, just the way it is. So, I switched sites and went back to the trusty abdomen. All while feeling nice and comfy in my D-Friendly Boxer Shorts. So that's that. My response to the question of "Boxers or Briefs?" Simply, it depends on the pump site spot and whether the laundry has been done! Living With Diabetes is tough. Constant blood sugar checks. Invading thoughts about what the numbers mean and whether that'll impact your day or task, and how so. Balancing snow shoveling or dog-walking with BG levels and what type of quick-acting sugar you might need to haul with you. Frustrations with insulin pumps, from low battery or refill alerts to wondering about whether the little speck of red near a cannula is hindering the insulin flow and causing your mood swings. Beeping Continuous Glucose Monitors. Math equations every time you consider putting food into your mouth. To put it mildly, those daily routines can be overwhelming at times. We can drive ourselves nuts. Diabetes doesn't give us a break, but sometimes we need a mental vacation - if even for a few hours every once in a while. My slacking came on Tuesday, after a long day at work that only forecast what was expected to be an even longer deadline-heavy latter part of the week. Frustration with the D-Routine boiled over and pushed to the point where I just stopped caring at that point. I needed a night off. A dinner-time blood test was 122 mg/dL. But that wasn't going to last long. I was hungry and tired and stressed, and needed to just sit back and relax and not care. So, I ate a bagel-and-egg sandwich, munched on some oyster crackers, and enjoyed a cup of hot cocoa. Without bolusing. Sure, I thought about it. But... "I just don't care." While they weren't the girl scout variety, they were my favorite style: Keebler Fudgeshoppe Coconut Dreams. Mmmm. I became The Cookie Monster, gobbling up each and every one that was in that package. Nine cookies. Every two translated to 17g. Some milk to go along with them. Tweeting about this, the desire for cookies festered in the Diabetes Online Community and several indicated that they'd also been craving some of these. Ah, my slacking is contagious, I thought! Only once, did I think twice about my carnivous cookie-eating and Tweeted about this. "Scarfing down those massive cookies w/o regard for accurate bolusing might not have been the wisest move in playbook. (sigh)." But, that regret didn't last. I was convinced this was a needed break in D-Devotion. A few hours later as bedtime rolled around, a blood test revealed: 342 mg/dL. I smiled, and didn't regret my earlier eating decision at all. The cookies were awesome, and just what I needed. So, I corrected and went to bed. Now, I did wake up to a 300 (indicating the cookies took me even higher during the night), but still that didn't convince me I'd made a regrettable decision. My sugars came back into the 200s and finally 100s by early afternoon. This was a needed mental break, and I'm perfectly fine with just letting go every once in a while. You don't own me, diabetes. Yes, I CAN eat that and I'm going to. Go screw yourself, while I eat some cookies. You may recall that in early January I began a trial run with the Minimed 523 Paradigm Revel, a loaner from my local pump rep who offered to help out in making a decision about whether I truly wanted to purchase a Continuous Glucose Monitor (CGM). Affectionately, I named this loaner pump and CGM combo Larry The Loaner. A month in, this is a letter to the device that has given me a chance to look beyond fingersticks for a short time. This is tough to write. Frankly, because it's not going to be what you were hoping for when we set out on this adventure a little more than a month ago. Unlike my two-week ride with Lex The Dex and my short Flight of the Navigator more than a year ago, our time together has enabled me to trial-test a handful of sensors rather than just a one-time test. This has been a beneficial look at how you'd really be if we were to partner up in the long-run. Instead of a one-night stand, we've had a chance to date before deciding whether marriage is the best way to spend our diabetes-focused futures. But I've decided it's not, and there's no engagement ring in our future. The newness has worn off, and I've been able to see what it's like to connect multiple sensors on different body sites. Five, to be exact. Each has offered less than a week before the sensor bites the dust: 6 days, 3 days, 5 days, 5 days, and 7 days. Comparitively, this is far less time than the 15 days obtained from that single Lex The Dex sensor. Since Navigator isn't really an option anymore thanks to the Abbott unreliability, it's not useful to compare them. You generally take a day or so off at the start of a cycle to get used to my body fluids. Then, on the final day, you've demonstrated no coherent train of thought before ultimately proclaiming "CAL Error" and "Lost Sensor" in defeat. From there, attempts to revive you with that same sensor are futile. Even on those "real-time" days, I'm sad to say you haven't offered me much consistency. If we're dancing between that good range of 80-200 mg/dL, things have generally been OK. But you aren't consistent or reliable, and so results have ranged anywhere from perfectly on par with my meter to more than a 100 points off. Five days average out each sensor. MINUS one day on each end. = Three days of accurate results. DIVIDE that in half, since I'm in range about 50% of the time. When looking at Lex The Dex, you figured on 15 days, with one day cut off on each end equaling 13 days. Cut that in half, you're looking at about 6 days. Six compared to 1.5... That's the comparison. And Larry, you just can't compete. The benefit of having your CGM capability merged into the pump and allowing for one device to haul around is nice. But in the big picture, it doesn't weigh heavily on my decision-making. I've had one major Low in the past month and you missed it. didn't catch it. At the time I was dropping in the middle of the night, and that's when you decided to get all confused and scream CAL ERROR at me. Therefore, missing the very point of alerting me to the impending low you're supposed to serve. That's not to say you haven't been helpful. I'd be remiss if I didn't admit that. You have helped me spot some trends, impacts of certain foods and how boluses play out over time. And mentally, you get me to pay more attention to what I'm eating and how I am dosing and trying to stay "in range" more often in order to keep the graph lines straight and within the boundaries. But in weighing the Pros and Cons, you are on the losing end, Larry. You just aren't worth the cost and insurance hassles of purchasing a Minimed CGM for the long haul. We just aren't meant to be. I trust you'll find someone else down the road who'll be more of a match for what you offer. That's just not me. Sorry, Larry. I'm glad you are a loaner and gave me some valuable insight, but it's just not worth more than that - at least in this early CGM generation that we're in. Maybe, when technology gets a little better and leads to more increased accuracy, we can sing a different tune together. Just not now. WOO HOO!! How very exciting!!!! Opening it, this is what was inside. Meter & Test Strips not included. So, now I'm a groupie of the music phenomenon known as BluntLancet (#BluntLancet). And being a fan means I also support the Diabetes Hands Foundation. Oh, my Riley Dog is also a fan who's ready for the Rythm & Bruise Tour! At some point, is it possible to look in the mirror and see a snake oil salesman or Halle Berry staring back? You know, someone doing more harm to the diabetes community than good? That thought horries me. But it's how I feel at the moment, and regrettably it's something I have brought on myself. My evil twin came out to play, and I'm feeling the consequences of that. Much has been written and discussed recently about a diatribe article with JDRF CEO Jeffrey Brewer, focusing on the organization’s focus and direction. Discussion on that article began online and some passionate parents of Children With Diabetes voiced their thoughts and views on the article and overall topic. Some expressed frustration with the direction while others didn’t. The Adult Type 1 community joined into the discussion, and unfortunately the conversation soon dwindled into a name-calling slug-fest onine between some CWD Parents and the Adult Type 1 community. Here's the thing. I disagreed with some of the parents, and saw that they were attacking another Adult Type 1 about the focus of the JDRF while voicing opinions that it's all about their kids. But instead of simply responding with my views, I posted a comment that was written in the heat of the moment and had sarcasm, anger, and frustration dripping from it like insulin at the end of pump tubing. While I didn’t create the issue or tension that was evident in earlier posts, I fueled the fire and helped lead this discussion into what it became. I regret this with every ounce of my being, and I apologize for that. This community and everyone in it has saved my life and fed my soul, and the last thing I want is to see it drawn apart. What concerns me most is that some in this chat have described the Adult Type 1 online community as not being professional, holding the parents in disdain and enjoying the negativity and inflamatory drama. That is absolutely incorrect. While I only speak for myself as one guy who's been diabetic for a long time, we do NOT have disdain for the parents of CWD. Rather, we have only respect and admiration. I’ve written on this theme repeatedly, as have many many many others. It crushes me that our community can go after each other like this. I've been reduced to tears more than once about how I somehow was a part of a debate that ended with any parent of a Child With Diabetes thinking any Adult Type 1 thought they are pathetic. That breaks my heart, and I've considered tossing in the blogging towel because of my brief but monumental lack of civility. But I've thought twice about that, realizing that while I may feel like I'm on the level of a Halle Berry cure-preaching snake oil salesman, this is all in my mind and it's time to move on. Together. So, I'm owning my mistakes and moving on. Hope you're willing to join me. To me, this highlights the dangers of how we interact in this still-new, ever-expanding Internet world. Just because we can spout off with a few clicks of a keyboard, doesn’t mean we should. We must ALWAYS be mindful of what we are saying and how it’s being said, to do our best to not spark a forest fire where a few flames already exist. Just because we can, doesn’t mean we should. Civility is key. Negativity achieves nothing, but destroys everything. Allison over at Lemonade Life wrote a very balanced and reasoned post on this recently, and others have written similiar posts that emphasize our return to civility and working together against the common enemy of diabetes. Completely agree here, and I'm looking forward to that discussion continuing in that manner - on the JDRF or other issues facing our entire Diabetes Community. We're all in this together. "Who knew there were so many closet Shakespeares in there? All they needed, apparently, was a writing tool that fit in their pockets. They've got it now -- iPhones, BlackBerrys, Droids -- and here is where theTwitter/Facebook universe is taking us: All thoughts must be expressed. Filters are for weaklings. Say it loud, say it proud! And never have to look a man in the eye." He continues, "How cowardly for these athletes to take apart one of their own from the comfort of their living rooms. Apparently people like (those athletes) feel just because they once held a football, everything they say about the game or its players must be accurate." This transcends into the Diabetes Community, and the embarrasing display of interaction we've had with some our own. The wise Jeff Hitchcock recently noted that people often turn into their evil twins when communicating online. I'm sorry that I allowed my evil twin to take over, and hope others are too and own up to it. We are all in this together, sharing stories and giving support while we ride this rollercoaster brought to us by diabetes. I want to refocus and start on the same page, so that even if we disagree on aspects we can still work together and combat those true battles that face our community - media inaccuracy, public misconception and unawareness, snake oil salesman and celebrity phonies who think eating less spaghetti and praying to the Bible will cure diabetes. We can debate reasonably and respectfully how we navigate the road before us and how we could find our ways to a cure. And we can help those friends who need us through whatever means is necessary. Source: Steve O's Embargo blog. Once, before the thumb became mightier than the sword, we were focused on that broad goal as one community. Let's get there again. I'm going to unplug for a bit to find my Inner Chi. Maybe go listen to some #BluntLancet. Eat some bacon. Focus on those glittering unicorns and puppies. I'll be doing my own thing behind the scenes, just not as visibly in the blogosphere for now. Not sure how long, though. Then, count on my being back with the evil twin locked away in the virtual closet. In the meantime, hope there's steady blood sugars on your end and I'll "see when I see you," or whatever the parliance is for that in this online universe. Pump Set Change + CGM Sensor Switch = Lots of Waste. Glad I have curbside trash pickup every week! As it's Groundhog Day, you can find me visiting fellow D-Blogger Sarah Jane over at Sarahndipity. We had the chance to meet for the first time at the Roche Summit this past summer, and I was honored to have a post over there. So please, stop by and say hello! This comes as we're bracing for what is being dubbed the Indiana ICEPOCALYPSE, or the national winter storm impacting a third of the country and hitting the Hoosier state particularly hard as far as ice and cold. Little snow in Central Indiana, like in Chicago or my hometown Southeast Michigan where they're tapped to get more than a foot of snow. But state government's been shuttered, federal offices and courts are closed, mail service postponed, schools and business closed, National Guard responding and shelters opened. At least this ICEPOCALYPSE came on my birthday Tuesday and gave me the chance to work from home. So that was nice. We'll see what happens, but in the meantime I direct you over to Sarah Jane's spot where I'll spout off a little more about Groundhog Day. Who knows what the little furry Phil will see this year, but hopefully it's an end - sooner rather than later - of this crazy icy winter weather! Oh, by the way: Please update your Blog Rolls as I've added my own domain name -> www.thediabeticscornerbooth.com. Simple, straightforward, easier to remember. And it's MINE. The old blogspot address will still bring you here and everything else is the same, just figured it was about time to join the bandwagon!